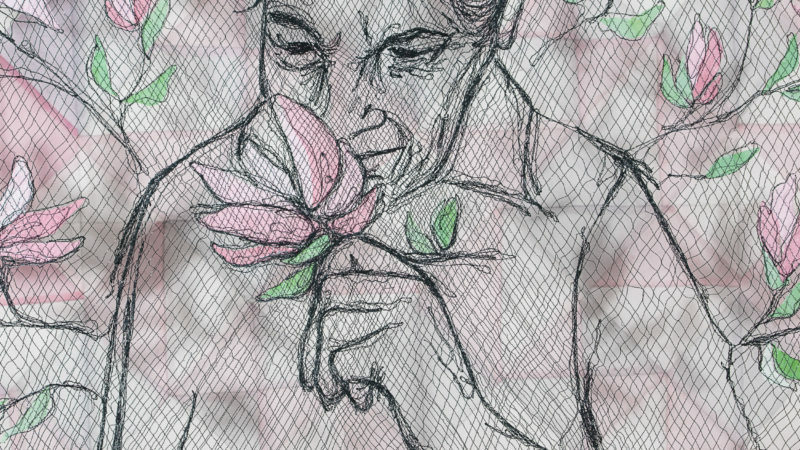 St. Louis fiber artist, Kelsey Viola Wiskirchen The Home Remembers. Sculpture, Painting, and Works on Paper by Gloria Garfinkel of New York. 6 - 9 p.m. | artist talk from Kelsey Viola Wiskirchen beginning at 7 p.m.
Live music performed by the Javaux Music School String Players. Coffee with the Curator: Monday, March 18, 2019 | 9 a.m. These Exhibits have been generously underwritten by Friends of the Art Center, with special thanks to Ann Miller Titus. 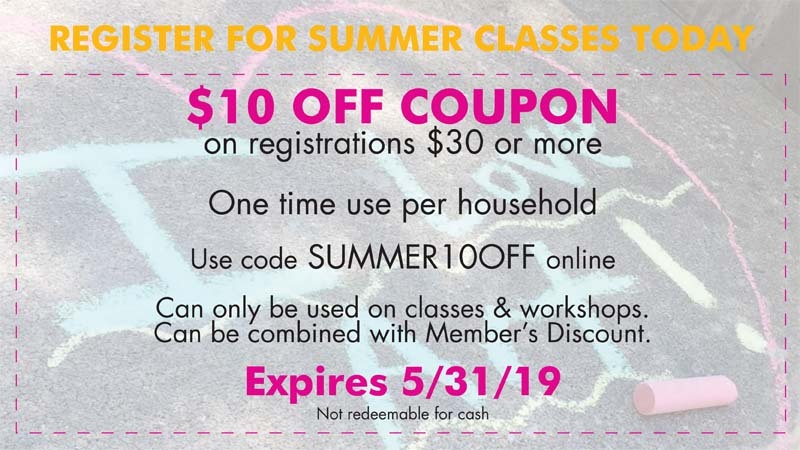 Receive $10 off on registration fee of $30 or more when you use coupon code SUMMER10OFF. One-time use per household. Can only be used towards classes & workshops. Can be combined with Membership Discount. Expires May 31, 2019. Not redeemable for cash.